Have you heard of the Tangkoko National Park? This incredible forest reserve is just 90 minutes away from Lembeh Resort, situated at the foot of the Dua Saudara Mountain. 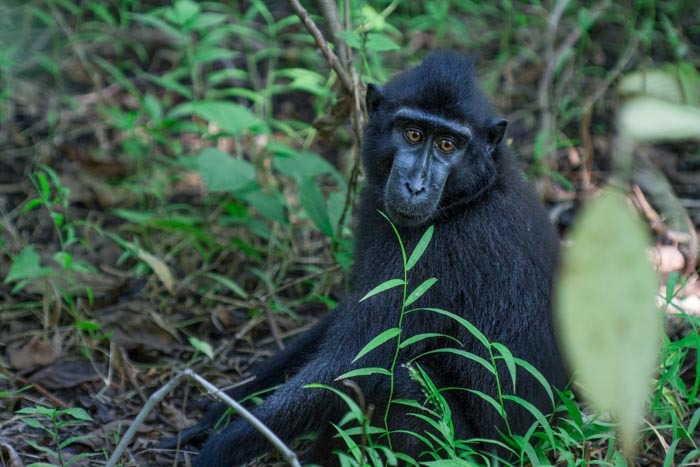 The reserve is a mix of rolling hills and valleys and is home to some of North Sulawesi’s most unique wild life – including the Celebes crested macaque (Macaca nigra), which is also known as the crested black macaque, Sulawesi crested macaque, Sulawesi black macaque or the black ape. We offer a land tour to the nature reserve which is a highlight not to be missed for any nature lovers. 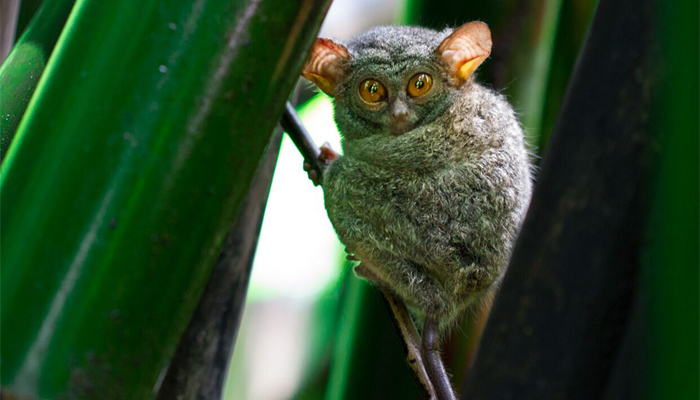 As we walk through the park you’ll be able to see these majestic and highly intelligent primates in their natural habitat – as well as numerous other species including the Tarsier (world’s smallest primate), Hornbills, Kus Kus and Maleo birds. 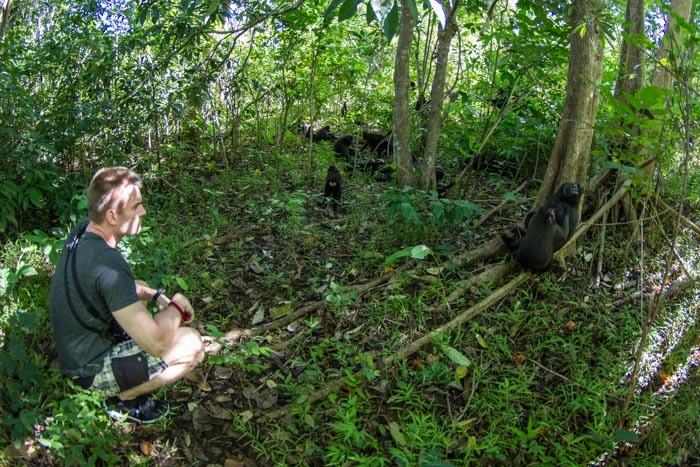 Black macaques are known locally as “yaki” or “wolai” and in Tangkoko they typically live in groups of 25 to 75 individuals (sometimes even more) so it is not unusual to meet large groups during the walk. The macaques are primarily terrestrial, spending more than 60% of the day on the ground foraging for food and socializing and this is the behaviour we typically see while walking through the park. Macaques, like other primates, also spend time in the trees for sleeping and searching for food when it is scarce on the ground. Smaller groups of macaques only have one adult male, while larger groups have up to four. However, adult females always outnumber adult males by about 4:1. Young adult males are forced to leave their birth group upon maturity, sometimes forming bachelor groups before seeking a connection to an existing adult mixed gender group. Communication consists of various sounds and gestures; such as the presentation of the long eyeteeth while grimacing, a clear threatening gesture by the males. Watching the group behaviour of the macaques in Tangkoko is fascinating, we often see them grooming each other, the juveniles playing and the mothers looking after their babies. The Sulawesi black macaque is one of the smaller species of macaque with a height of up to 57cm for males and 45cm for females. As well as being smaller, females are identifiable by extreme redness of their buttocks when they are ready for mating. 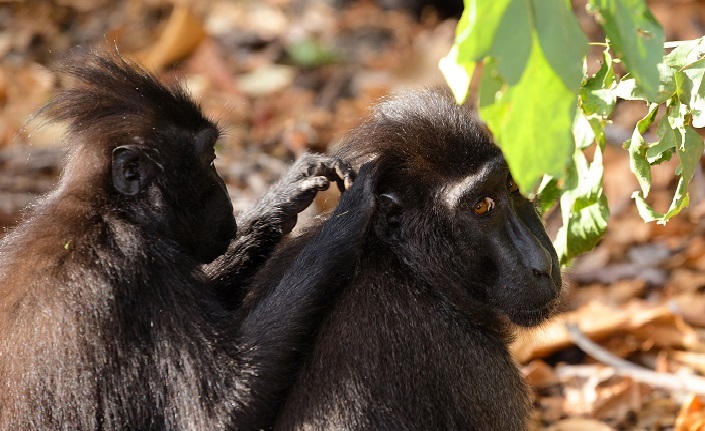 The Celebes crested macaque is promiscuous, with both males and females mating multiple times with multiple partners. The gestation period is 174 days and young macaques are nursed for approximately one year, becoming fully mature in three to four years, females somewhat sooner than males. 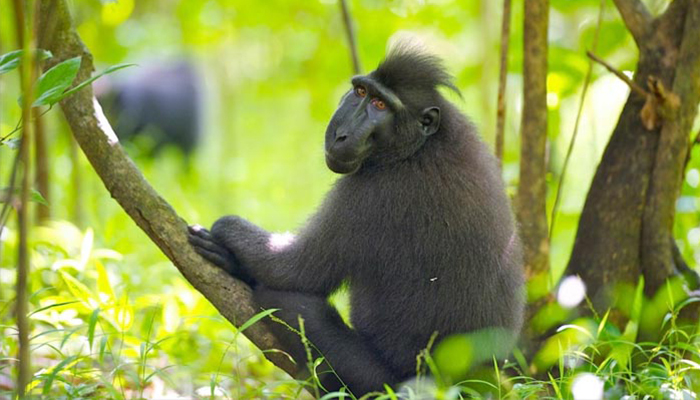 The life expectancy of the Sulawesi black macaque is estimated at approximately 18 – 20 years in the wild. The Sulawesi black macaque eats mainly fruits (70% of its diet), leaves, buds, seeds, fungus, birds and bird eggs, insects (such as caterpillars) and even the occasional small lizard or frog! We are extremely fortunate to see such a healthy population of macaques in Tangkoko as they are listed as being critically endangered by the IUCN. Sadly, they are often considered a pest because they can devastate crops and in some parts of North Sulawesi they are also hunted as bush meat. Do you remember the photo above? Did you see it in the media? 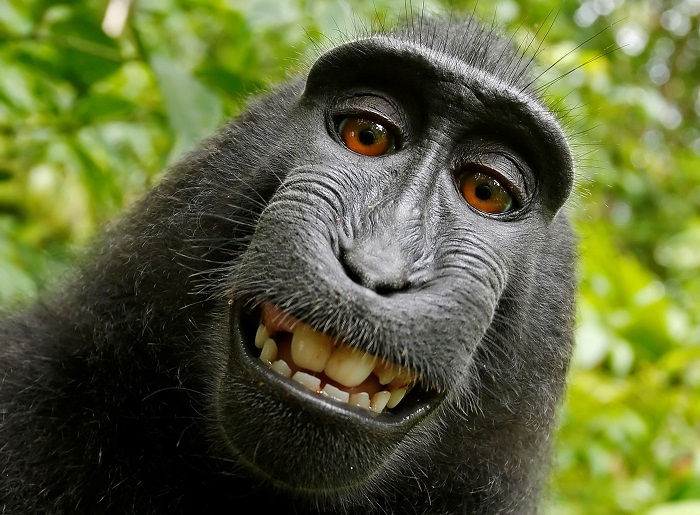 This sparked a huge copyright legal debate in 2014 when one of the black macaques in Tangkoko took this “selfie” image of itself! The photographer who owned the camera claimed he had copyright over the image whereas People for the Ethical Treatment of Animals (PETA) argued that the macaque should be assigned the copyright. It was eventually ruled that animals could not own copyrights and the image was in the public domain – which is why we can use it here! Are you preparing for your trip to Lembeh? Our Tangkoko tour is a great way to see a bit more of our stunning location, wildlife and fauna. It’s ideal to take the tour at the end of your stay prior to flying home so you don’t lose any diving days. For those who like to mix diving with exploring top side take a look at our full range of land tours here. We are looking forward to welcoming you to our beautiful Indonesian Resort soon.